The values of Freemasonry are based on integrity, kindness, honesty and fairness. Freemasons are taught to practise charity and to care, not only for their own, but also for the community as a whole – both by charitable giving, and by voluntary efforts and works as individuals. Masonic charity is exercised at every level: individual Lodges make gifts and give aid to their own communities and every Province also gives large sums of money to regional causes. In June 2014, the Freemasons of East Kent completed a major fund-raising appeal that achieved a grand total of £3.65 million for the Freemasons’ Grand Charity; 22% above the target they set in 2008. 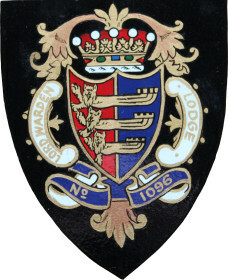 Lord Warden Lodge contributed and EXCEEDED their target. Local charities here in Deal have benefited from our help. Helping local Charities is equally important to the Lord Warden Lodge as every other Lodge in Masonry. We as a Lodge, continue to help in any way we can, either by our annual Ladies Night Festival in November, or by the raffles we hold after each Lodge meeting on a Tuesday night. We continue each year to try and better our previous donations, we are still donating even in the closed season. July saw nearly £1000 donated to three Charities, Digby Donnelly, Ellice’s Wish to Walk and Breast Cancer UK. Freemasonry in the UK helps many Charities, to find out more about that work and the donations made, please follow the link to the United Grand Lodge of England/Giving.